On Sept. 8, 2016, we had our first general meeting of the 2016-2017 club year at Windermere Town Hall. We began with an informal coffee. Members Carolin W. and Vicki H.were our hostesses. 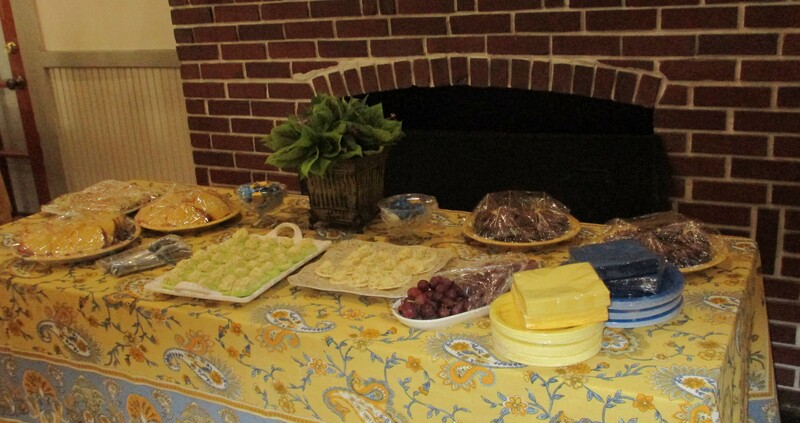 They provided us with great food and snacks including homemade blueberry basil water. Thank you, ladies. 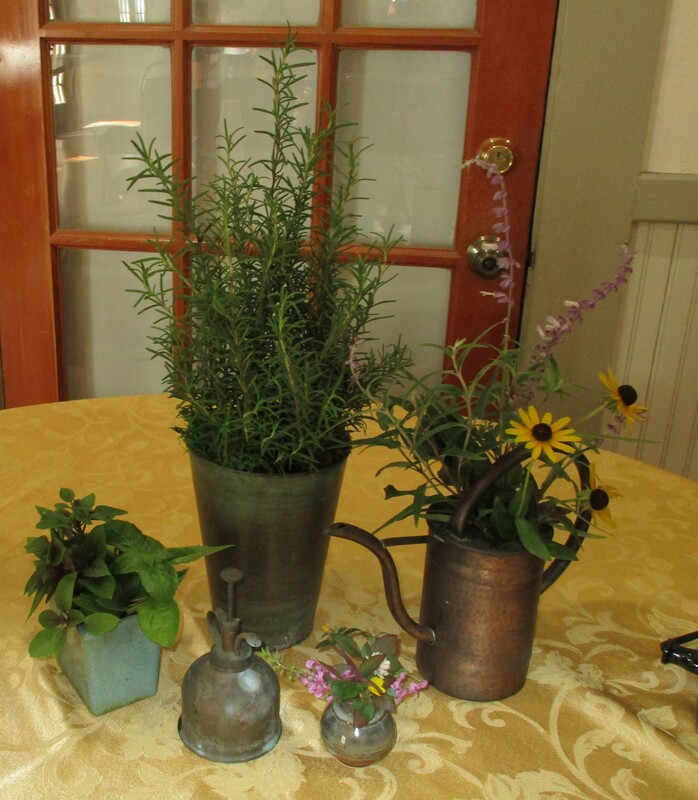 Yummy snacks by our hostesses, Vicki H. and Carolin W.
Lovely plants from Vicki H.’s yard for the beverage table. 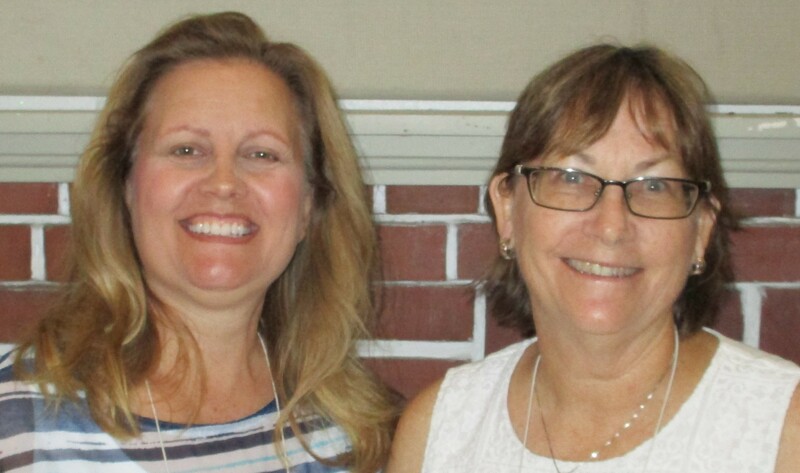 Left is Hostess Carolin W. and right is Hostess Vicki H.
As it has become an annual tradition, Tom MacCubbin was our first speaker for our 2016-2017 club year. He had many live plants and went over many garden tips for this time of year. He also awarded some of the members some of his wife Joani’s plant themed craft items for answering correctly FL plant capital questions. 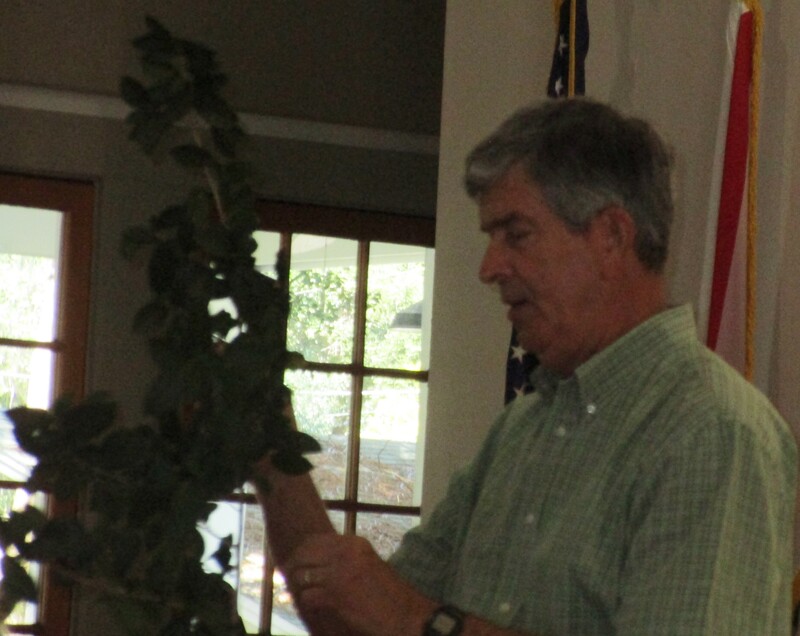 Our speaker demonstrating the proper way to prune. 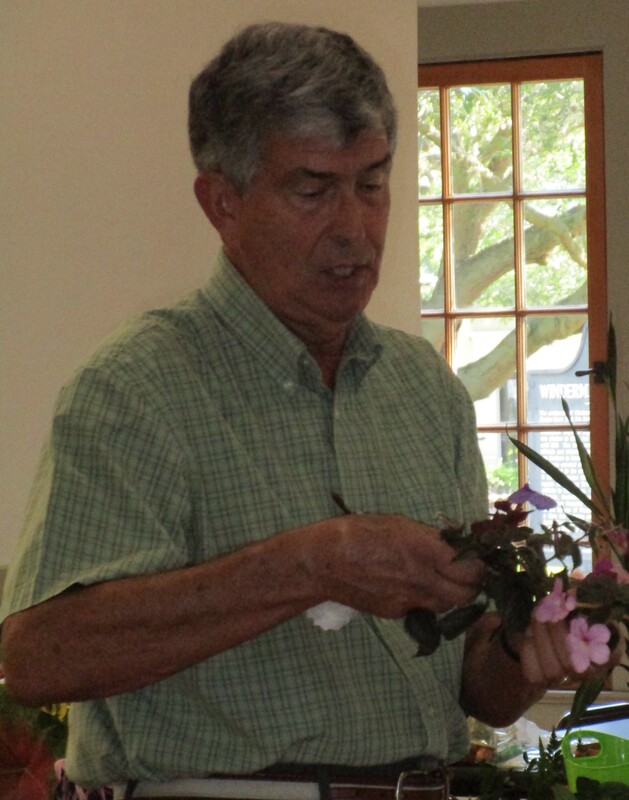 Our speaker Tom MacCubbin with a begonia. 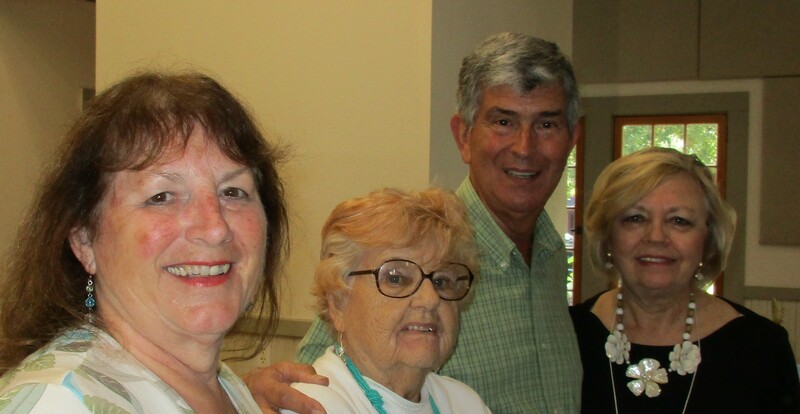 Front to back: Joani MacCubbin, 1st VP Mary B., Tom MacCubbin, and President Bonnie B.